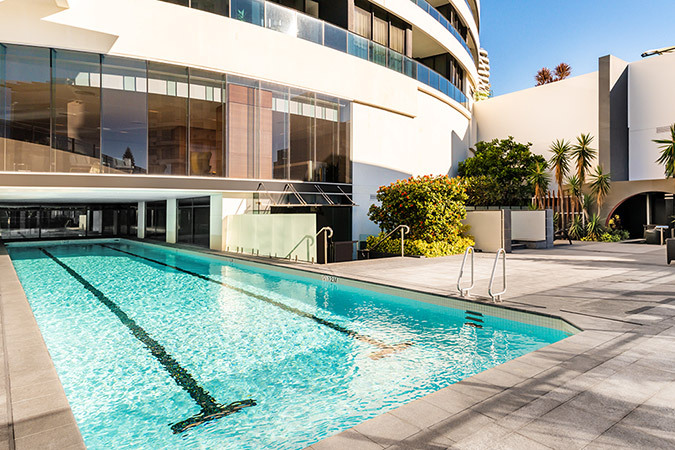 Soaring high above Broadbeach's premier shopping and dining precinct, Peppers Broadbeach offers a chic and exclusive haven for those seeking luxury, sophistication and relaxation. 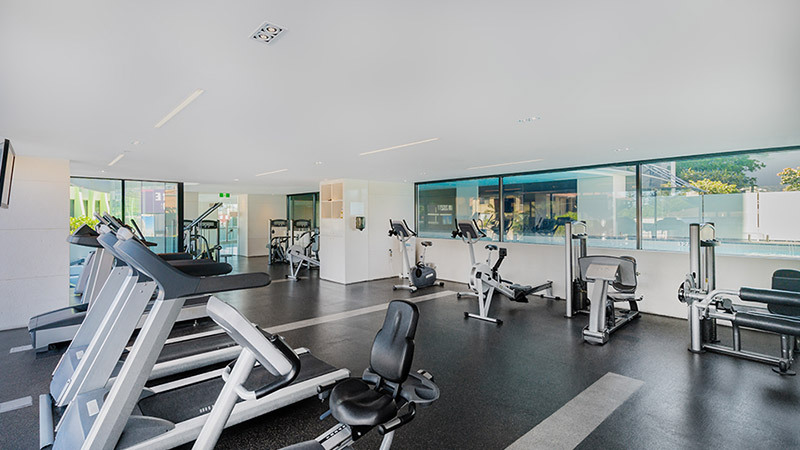 The contemporary Peppers Broadbeach is only 35 minutes north of Gold Coast airport and an easy one hour drive south of Brisbane. It consists of two architecturally impressive towers each designed to reflect its beach and surfside surroundings. 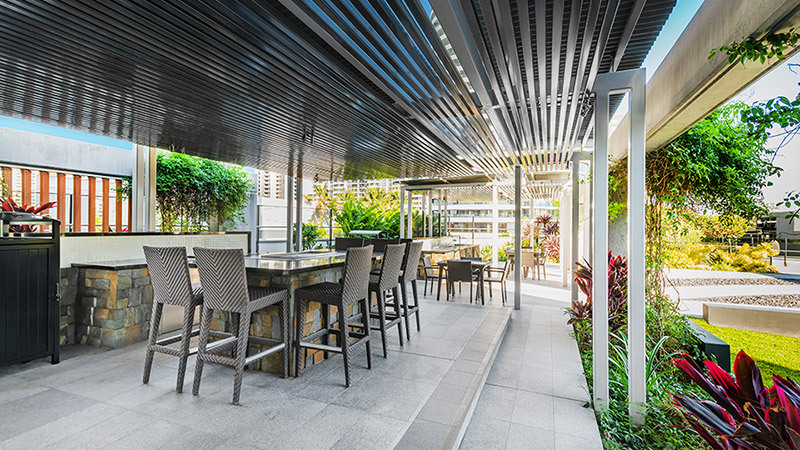 Peppers Broadbeach is the perfect setting to indulge in the finer things in life, boasting an exceptional range of guest services and luxury Gold Coast accommodation choice. 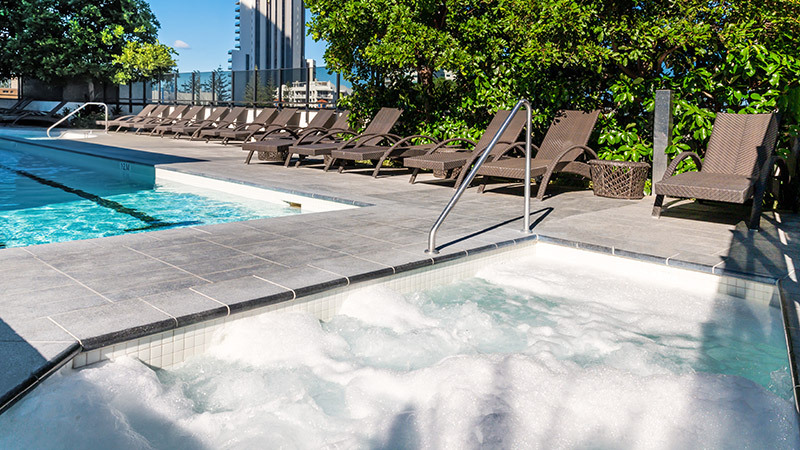 Our Broadbeach hotel accommodation escape comprises of luxury One and Two Bedroom Suites, Three Bedroom Skyhomes and Three Bedroom Sub-Penthouse all featuring generous living spaces, premium European appliances and exceptional interior design throughout. All suites offer iPod docks and many boast panoramic views of the Pacific Ocean. 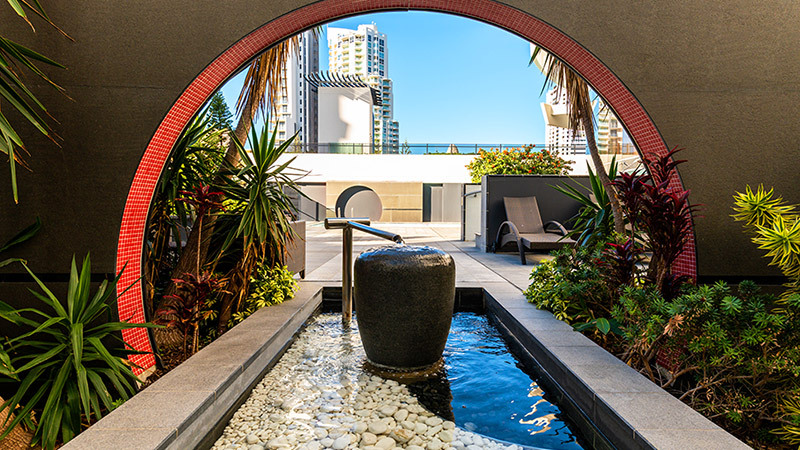 Immerse yourself in the cooling waters of our resort pools, wander through the calming surrounds of our Zen garden and tai chi lawn, soothe aching muscles in the sauna and steam room or enjoy a leisurely stroll along Broadbeach's dining strip which boasts sumptuous cuisines from around the world. 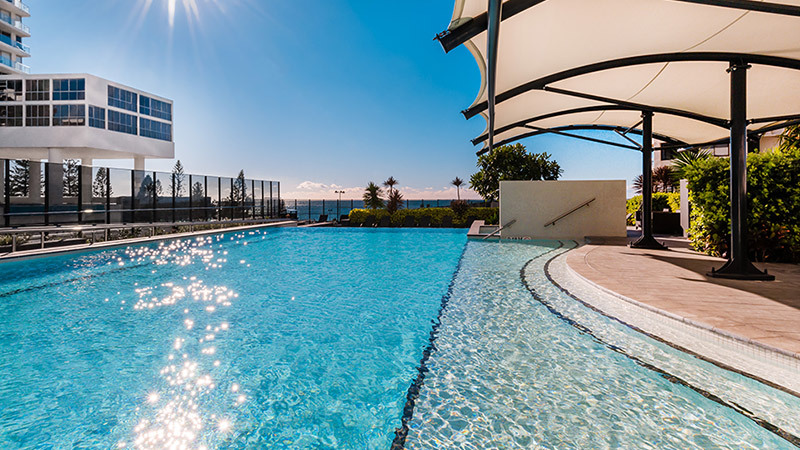 Peppers Broadbeach is centrally located in the Gold Coast, only 25 minutes from Gold Coast Airport. Brisbane Domestic and International Airports are just under an hour and a half drive away. All suites attract a credit card pre-authorisation. One Two Bedroom Suites - $200 in addition to full payment of accommodation. Three Bedroom Sky Homes - $1500 in addition to full payment of accommodation. Sub Penthouse - $2500 in addition to full payment of accommodation.